I hope you are staying as cool as possible, and safe this summer. Please read the details below. 1. 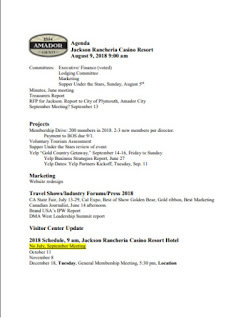 If you didn’t hear, Amador’s County Exhibit at State Fair won Best of Show represented by a Golden Bear, a gold ribbon, and a blue ribbon for best marketing. This recognition brought many State Fair visitors to the booth. Thanks to all of our volunteers who shared their passion for Amador County with those visitors. 2. Our signature fundraiser, Supper Under the Stars, is sold out and there still is an opportunity to participate by bidding on the silent auction before the event, Sunday, August 5th. Please see the list below and take advantage of the “Buy It Now” option , by emailing your interest to maureenfunk@volcano.net, and I will get in touch with you to work out payment. 3. 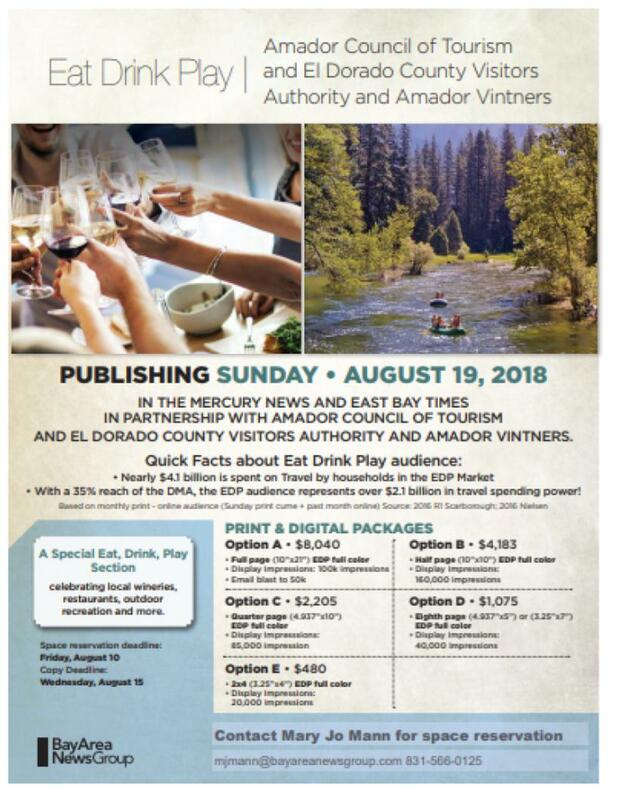 Attached (below) you will find an advertising opportunity with Bay Area News Group, offered in partnership with Amador Vintners and El Dorado Tourism. 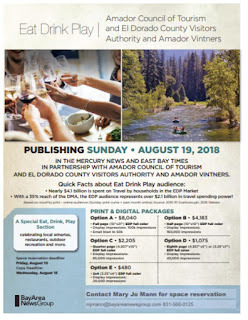 These Sunday inserts have been quite successful bringing visitors to Amador. We are publishing earlier than past years, Sunday, August 19, and deadlines are very soon. 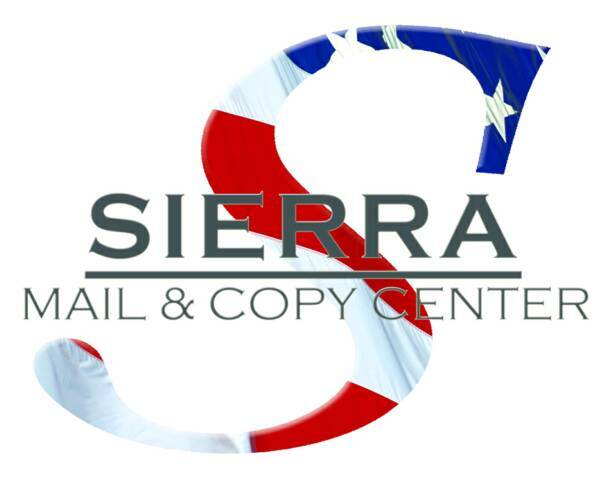 Space reservation is August 10 and ad copy is due August 15. 4. 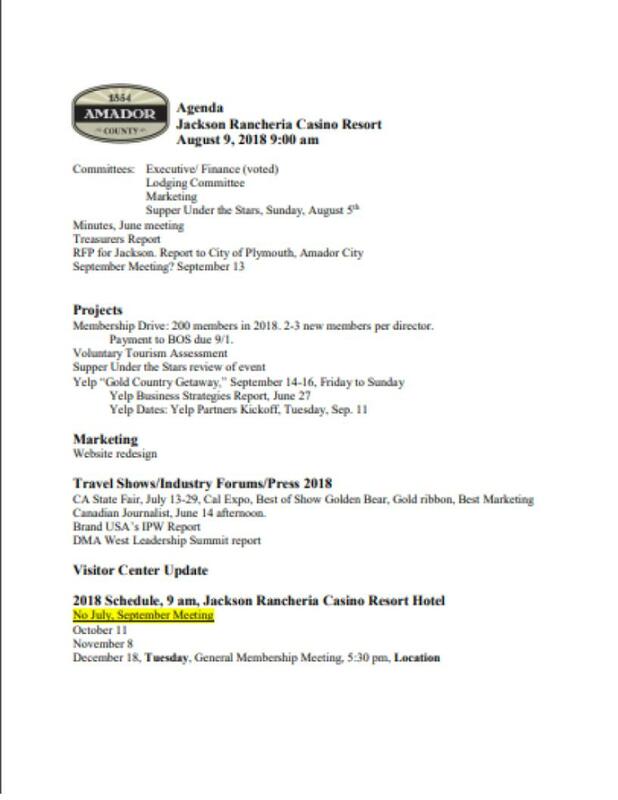 Amador Council of Tourism Board of Directors meets Thursday, August 9, 9am, at Jackson Rancheria Casino Resort’s hotel conference room. All are welcome, member or not. Jackson Rancheria Casino Resort generously provides a light breakfast, plus coffee and hot water for tea. Please arrive a little early so we may start promptly and finish by 10:30.